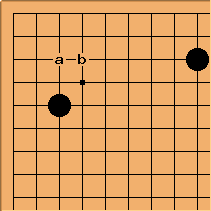 In recent professional practice, White comes in at a or at b here. 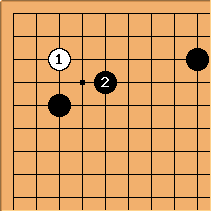 In this case it is natural for Black to play 2. Now White will play to avoid being shut in. 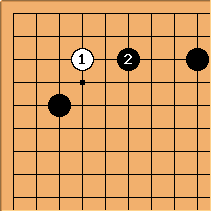 If White is more concerned about quick life, it makes more sense to come in at 3-3. But White can't get out past Black 2.